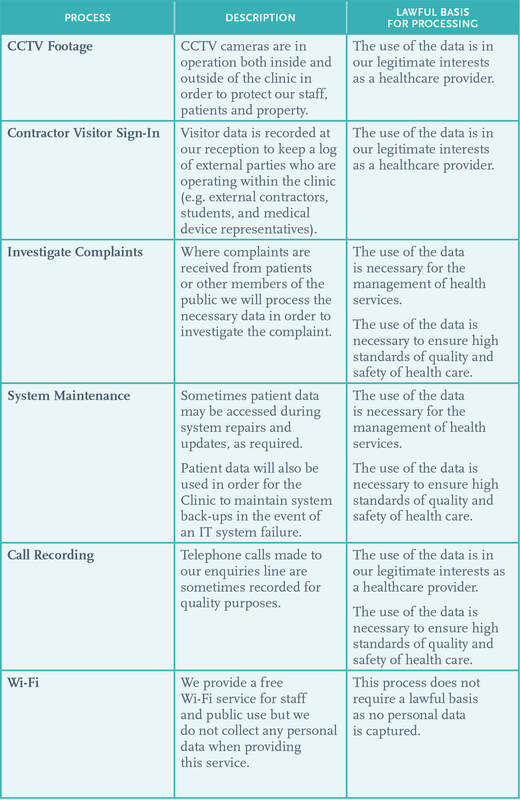 Blackrock Clinic (BRC) is committed to protecting all personal patient data collected during patient treatment. 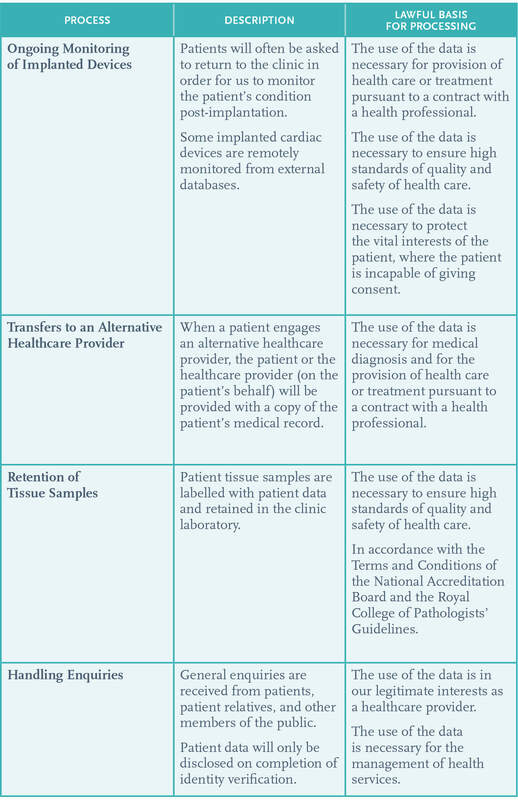 This notice sets out the types of data we collect, and how we capture, use and protect all personal data collected and stored during the course of patient treatment. We also want you to be clear as to what rights you can invoke with respect to your information as a patent of BRC. To this end, it is important that you read this Privacy Notice and understand our use of your personal data. Please note, we reserve the right to update this Privacy Notice as required. This is the most recent version of this document. References to “BRC”, “us”, “our” and “we” refer to Blackrock Clinic Ireland Limited, and any associated companies from time to time. More information about BRC can be found within this web site. The DPO@Blackrock-clinic.com mailbox is managed by the BRC DPO function and all correspondence received will be addressed accordingly, including support from the designated BRC Data Protection Officer. Please note that we will take all appropriate steps to keep your personal data safe. In the unlikely event that we have a security breach, we will notify you without undue delay about the circumstances of the incident as required by our legal obligations. We collect personal data to provide our services to you. This data may be collected directly by our staff, or by medical consultants, GPs, or other healthcare professionals who refer you to BRC, or who are involved in your treatment. 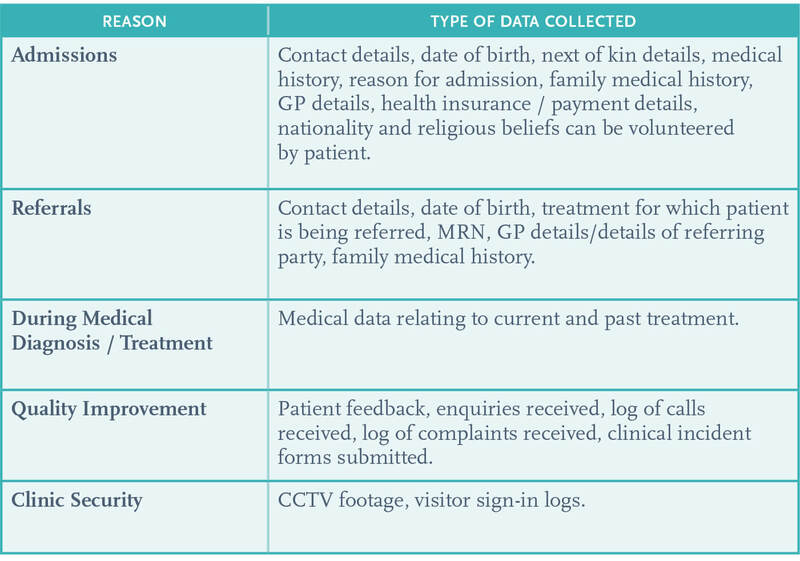 We use your personal data so that we can provide past, current and future BRC patients with the highest quality of healthcare possible. 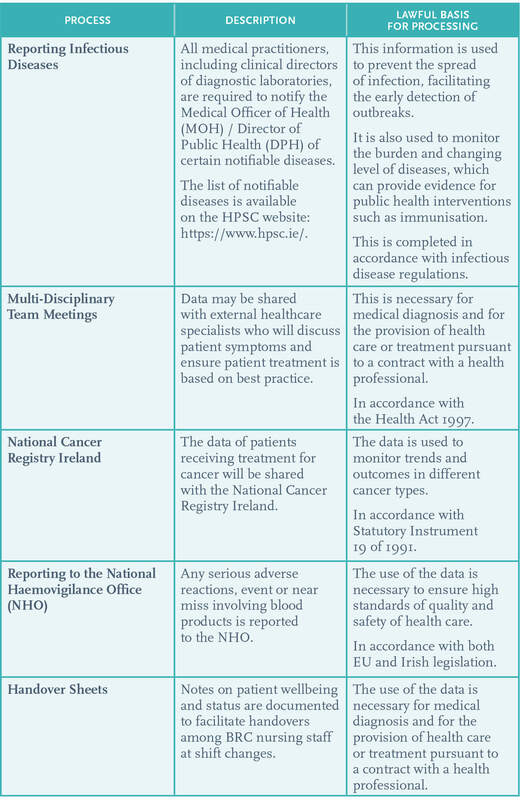 Statutory bodies and health boards as required by EU and Irish law. We take steps to ensure that any third-party partners who handle your information comply with data protection legislation and protect your information to the same extent that we do. We only disclose personal information which is necessary for them to provide the service they are undertaking on our behalf. We will aim to anonymise your information or use aggregated non-specific data sets where possible. On occasion we may transmit your data outside of the European Economic Area. In such circumstances. we will ensure that the data is transferred in a secure manner, in accordance with data protection legislation and with your consent. If you would like more information about the relevant safeguards in place for the transfer of personal data to countries or companies outside the European Economic Area, please contact us using the details outlined in Section 1. above. Please note that the information listed under one category may be used for the performance of a task, or in relation to activities listed under another heading, or as outlined in Section 3. above. We only keep your information for as long as is necessary for the purpose for which it was originally obtained. 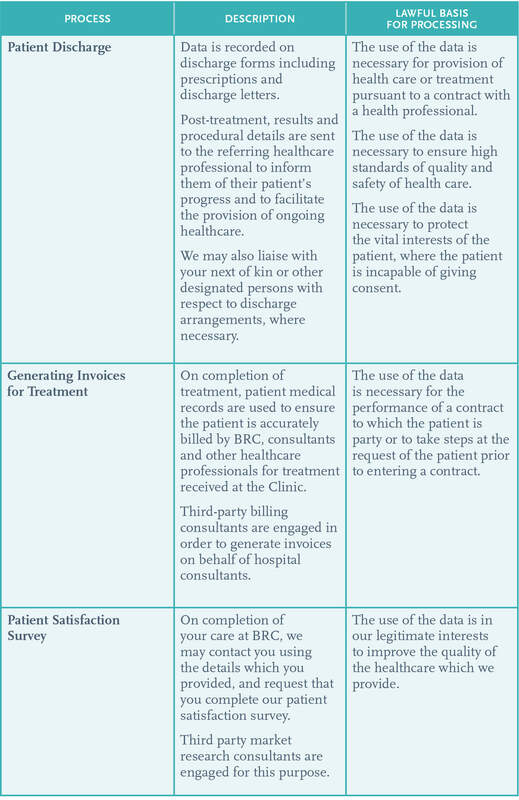 Please note that the retention periods for medical information are defined on a case-by-case basis as required for the provision of healthcare to the patient. 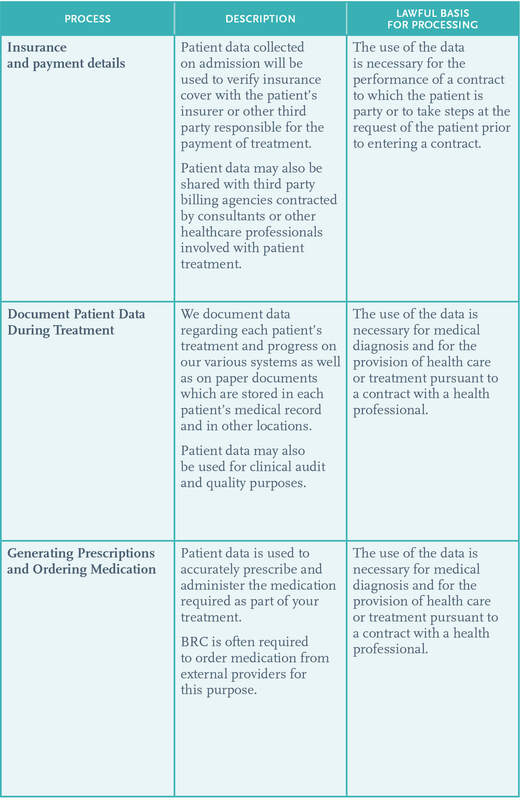 In this regard, retention periods for medical information will be defined based on the individual circumstance of each patient. We will take all necessary steps to ensure that the privacy of information is maintained upon disposal. You have a number of rights when it comes to your personal data. On receipt of a valid request to invoke one of your rights, we will do our best to adhere to your request as promptly as reasonably possible, however, restrictions may apply in certain situations. Please send all requests to the contact details provided in Section 1., with as much detail as possible regarding your requirements to enable us to deal with your request efficiently. To answer your request, we may ask you to provide identification for verification purposes. Upon receipt of a request, we will have 30 days to provide a response, with an extension of two further months if required. If we require more time to deal with your request, we will notify you of the delay, and of the factors responsible for the delay, within 30 days of the receipt of your request. If we refuse your request, we will notify you within 30 days of the receipt of the request accompanied by the reason for refusal. Identity verification will require a copy of your photographic ID, as well as the provision of three unique identifying factors from your medical record. The personal data is no longer required for the purposes for which it was obtained. You object to the use of your personal data and there are no overriding legitimate grounds for the use of the data. 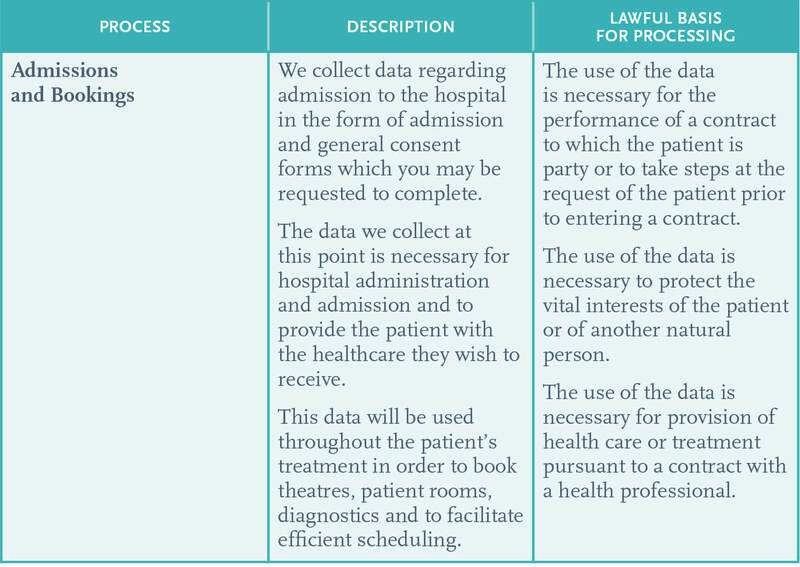 However, we will be unable to fulfill an erasure request if the personal data is required for the treatment of an active patient. We will also not be able to delete data which is being held in the public interest, such as for protecting against cross-border threats or ensuring high standards of quality and safety of healthcare. When the use of your data has been restricted, your personal data will only be further used: with your consent; for the establishment, exercise or defence of legal claims; for the protection of the rights of other people; or for reasons important to public interest, such as for the protecting against cross-border threats or ensuring high standards of quality and safety of health care. The lawfulness of the use of your personal data by us is reliant on the basis of a contract. If you wish to object to the use of your data, please contact us with your request. We will then stop using the data or personal data unless it is required for legal proceedings.